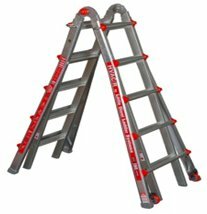 HVAC/R Little Giant multi purpose trade ladder, in two sized, 17 foot and 22 foot. 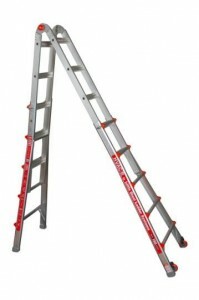 Use the HVAC/R Ladder in a miltitude of configurations including a Step, A-Frame, Angled A-Frame and Extension Ladder. It can also be transformed into two small step ladders for a work plank. On average 13 people a year die at work falling from ladders and nearly 1200 suffer major injuries. The Big Foot Ladder Anchor is a simple safety device that sits under the feet of your ladder, preventing it from slipping, sinking and twisting. 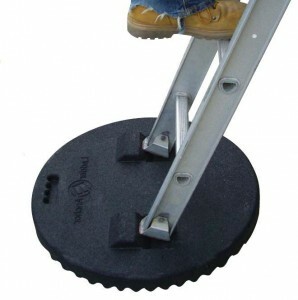 The Big Foot Ladder Anchor can also save labour costs by eliminating the need to ‘foot’ the ladder.